Pioneers in the industry, we offer upvc pressure pipes from India. We are a prime name in the industry, engaged in offering a premium quality assortment of UPVC Pressure Pipe. 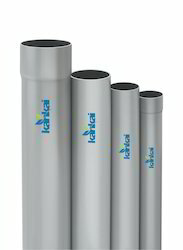 These pipes are manufactured using high-quality material procured from authentic vendors. Looking for UPVC Pressure Pipes ?